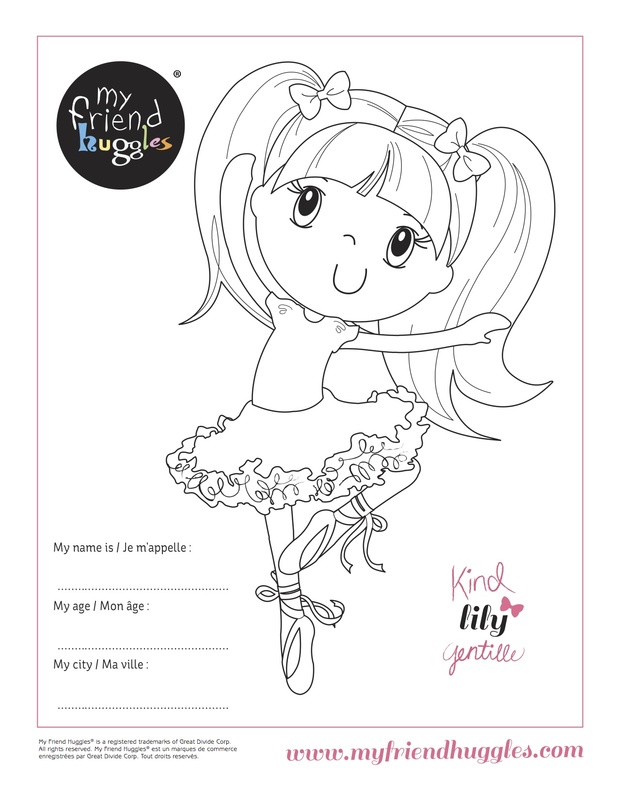 My Friend Huggles | The life-size character building doll. We teach beauty from the inside out. October 11th is the 3rd annual International Day of the Girl Child. That mean around the world, the United Nations declared October 11th as the official International Observance day to support more opportunity for girls, and increase awareness of inequality that girls live with worldwide based on their gender. And we can thank Canada! Canada sponsored the resolution to the UN National General Assembly a delegation of women and girls made presentations at the 55th United Nations Commission on the Status of Women. Empowering Adolescent Girls: Ending the Cycle of Violence. Team My Friend Huggles is fully behind this amazing initiative and we support the efforts that bring attention to the inequality and challenges faced by girls everywhere, including; access to education, nutrition, legal rights, medical care, discrimination, violence and child marriage. According to UNESCO, of the almost 800 million adults around the world that cannot read, 64% are women. 10,000 Girls Initiative —LitWorld is a U.S.-based nonprofit on their campaign to fight illiteracy around the world. They have declared International Day of the Girl to educate 10,000 Girls across the Globe. Their mission: “that 64% will disappear — no matter how long it takes.” (only 30% of girls in the world are enrolled in secondary school). Support this LitWorld’s campaign as a tangible, poignant goal for organizations, volunteers and donors who want to get involved but may have not known where to begin. Team Huggles invites you to Celebrate the power and potential of girls! Plan was founded in 1937. Today Plan is one of the world’s largest international development agencies. Plan is not for profit, independent and inclusive of all faiths and cultures. We know investing in girls is key to creating a brighter, safer future for everyone. When girls are educated, healthy and informed, they lift themselves, their children and their entire communities out of poverty. Be part of the global movement! Share a note of inspiration, real or virtual, and create a powerful statement of support for girls’ rights globally. Help bring girls and girl-serving organizations together to celebrate the International Day of the Girl. The Summit has become a movement; a year-long, action-oriented, virtual platform for change makers to leverage community resources in support the advancement of girls’ human rights. Goal to reach 1,000 Girls no matter where she lives to bet a chance to be part of the IDG 2014 Celebration by: sharing special messages, pictures, photos, or wearing an official IDG t-shirt. She will get to add her voice to over 500 girls at the United Nations on October 10th. And by using the Official IDG 2014 Avatar in her social media, she can show the world how she celebrates Girls’ Human Rights. Together, we can shine a light on our shared vision and mission of a world where every girl gets to fulfill her potential without oppression, fear or gender discrimination. Remember!! you can help. Together, we can change the world. Grandparents Day is this Sunday and if you are like most parents, you want to make sure that your children and their grandparents are able to share a part of this special day. While gifts are great, what Grandmas and Grandpas really love is the time spent with their little ones. One of the things you can do with your kids if you are feeling creative is to have them write a song for their grandparents. Choose a song that they already know the tune to, then change the words to talk about how much they love their grandparents. This is something that your kids can do in person or, thanks to technology, something they can do from afar. 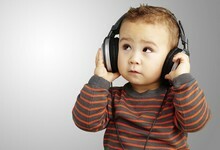 Using words like “love,” “caring,” “laugh,” “help” and more can all sound wonderful in a song. Another thing that can be fun for your kids and their grandparents is for your kids to put on a play or puppet show. They can even use their My Friend Huggles doll as part of the performance. Make the play a celebration of the relationship between a child and their grandparent allowing your children to think of ideas from the heart. Find an airtight container and write “2014” on it. Both your kids and their grandparents can include a letter to their future selves, photos and wishes for each other. 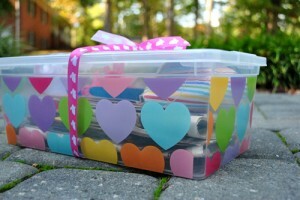 Since Sunday is suppose to be a sunny day, it’ll be the perfect time to take your time capsule and find a special place in the backyard to burry it. Just make sure to note down where you put it! 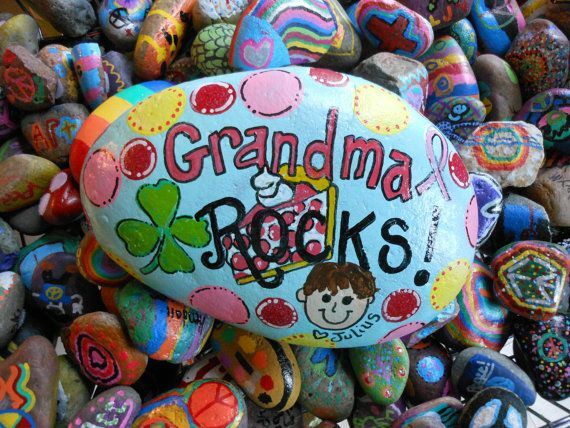 If they have just a few hours to spend together, we’ve got awesome ideas for great gifts that your children can make for, or with, their grandparents. 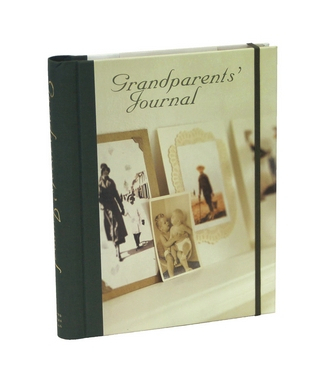 This Grandparents Journal is a gift that kids and their Grandparents can enjoy together. This book serves as a neat keepsake to record family traditions; Grandparent’s can document their childhood stories to pass on as well as the joys that being a Grandparent have brought them. If your kids are old enough they can be the ones to write the stories their Grandparents tell them into the book. What are you doing for Grandparents Day? Huggle-it-forward and share your stories below. My Friend Huggles Brings Cheerfulness to Haiti! Big Dolls Making a Big Difference. 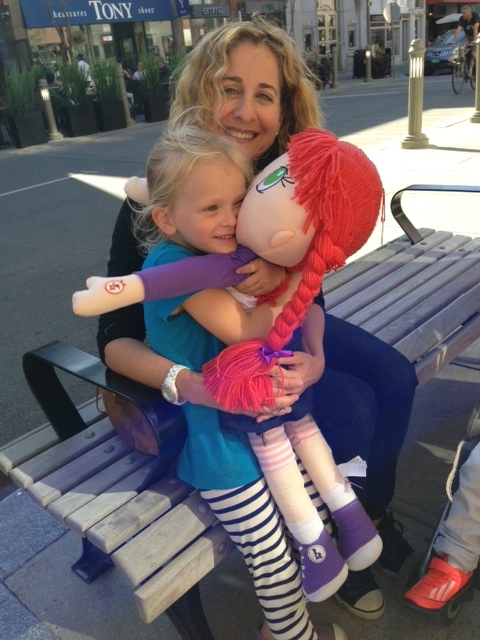 This summer, two students at the School of Physical and Occupational Therapy at McGill University found a way to bring My Friend Huggles to people who need them. With the help of the Institute for Health and Social Policy, they travelled all the way to Haiti to support an ongoing training program that is one of the most important initiatives to train rehabilitation providers. Haiti is the poorest country in the Western hemisphere with 80% of its population of 10 million living in great poverty (PAHO 1998). Haiti also has the lowest level of healthcare spending in the Western hemisphere. 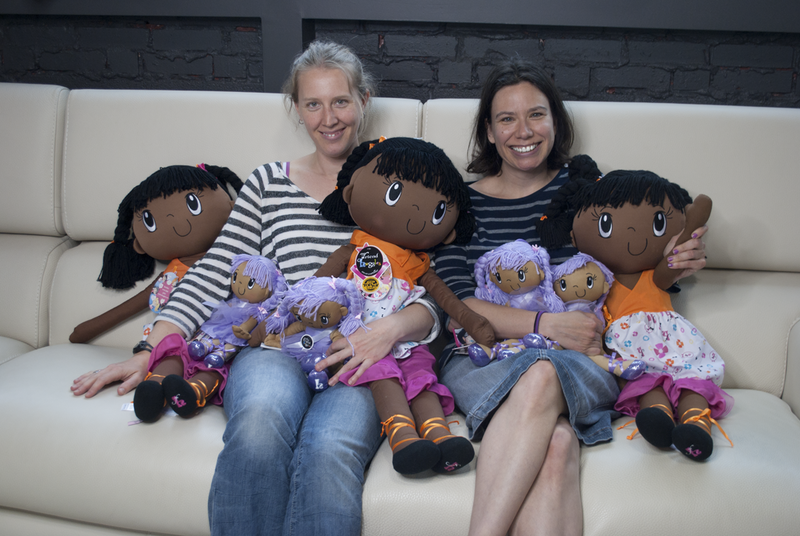 My Friend Huggles dolls allowed them to help teach treatment techniques, so that kids could have access to the healthcare they need. 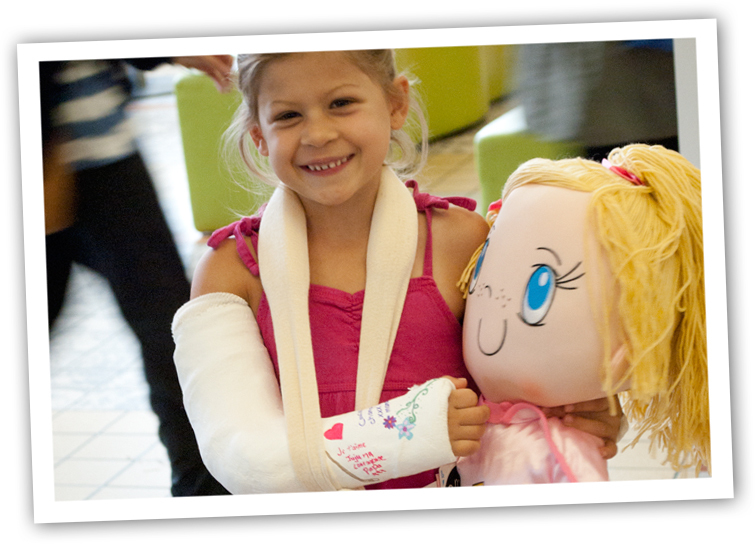 Moreover, the Kira dolls brought a smile to many kids in the rehabilitation room while they were there for therapy. A little smile goes a long way. My Friend Huggles can make someone’s day. 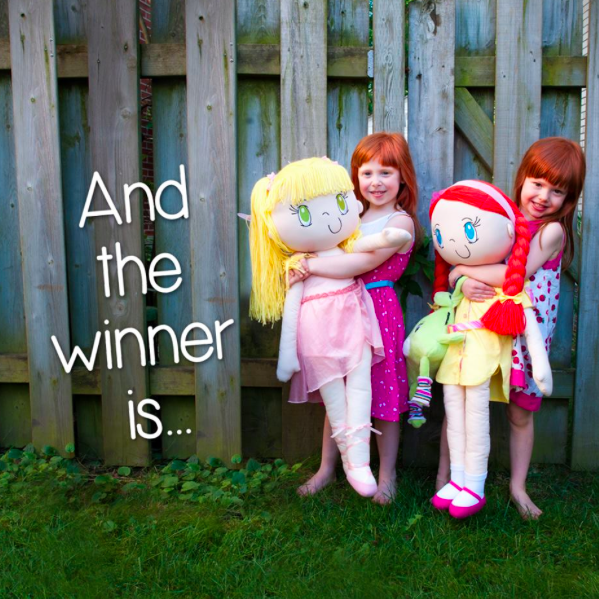 Enter your chance to WIN a Kira doll! Click HERE! 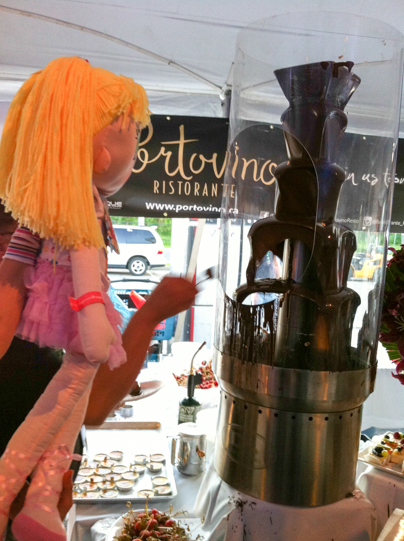 Back in June 2013, MFH launched the Campaign of Hope at the Starlight Children’s Foundation’s Strangers in the Night Gala, where for each doll purchased, we promised to donate a doll to a hospitalized child in need. 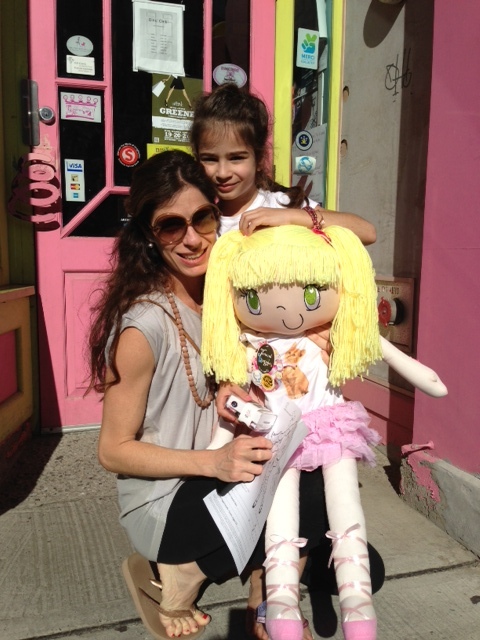 In addition, we also pledged to donate 1000 dolls to hospitals across Canada. Today, we are pleased to announce that we are officially halfway through our Campaign of Hope! Check out the list of hospitals we visited in 2013! 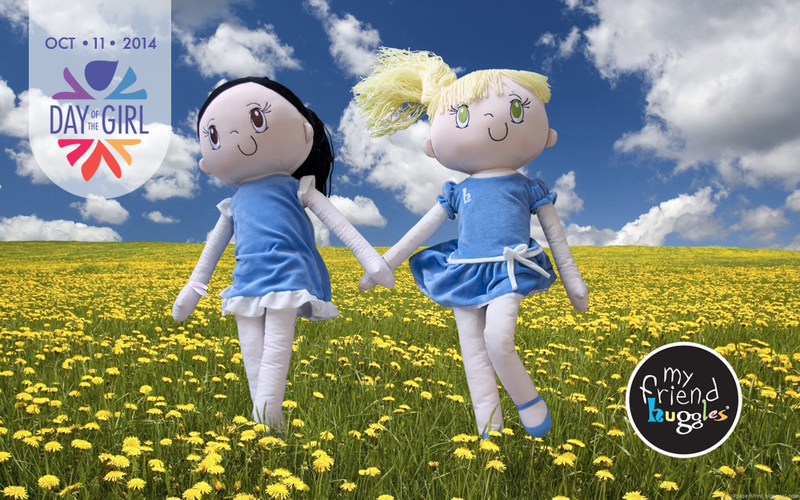 To celebrate this accomplishment, My Friend Huggles President, Brenda Katz, visited the CTV Atlantic Morning Show to talk more about these adorable comfort dolls, the Campaign of Hope and the difference it’s made in the lives of children and their families. Follow the link below to watch it! Big Huggle thank you to…. Everyone who helped us make this moving & wonderful journey possible. All the hospitals who participated in 2013 for opening their hearts and doors to us and all their amazing coordinators and staff for their excellent work and dedication to the well-being of these children. Most importantly, we would like to extend a truly heartfelt thank you to all the parents and children we met along the way for inspiring us and giving us continued support. Continue to follow our Campaign of Hope on our blog and Facebook page! Stay plugged in to the My Friend Huggles Facebook Page for contests! 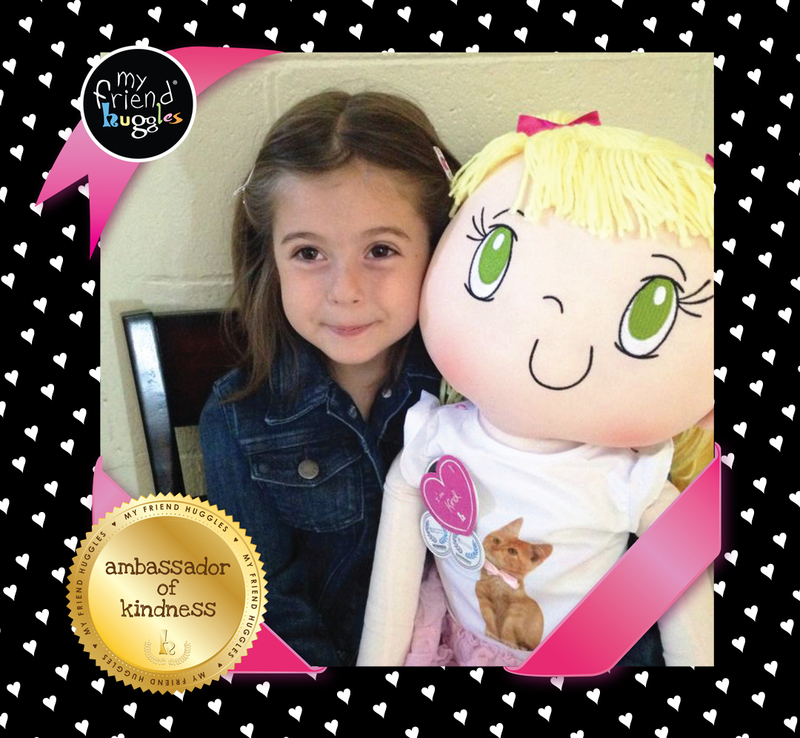 A warm testimonial to My Friend Huggles from the Mom of a hospitalized little girl. This testimonial came from Melanie Boutlet, Mom of little 3 year old Abygel, after a hospital visit from My Friend Huggles. Thanks so much for taking the time to write to us! We love hearing from parents, grandparents & caregivers and it warms our hearts to know that our hospital doll donations are making a difference. DOUBLE your fun and DOUBLE your sleepover party! 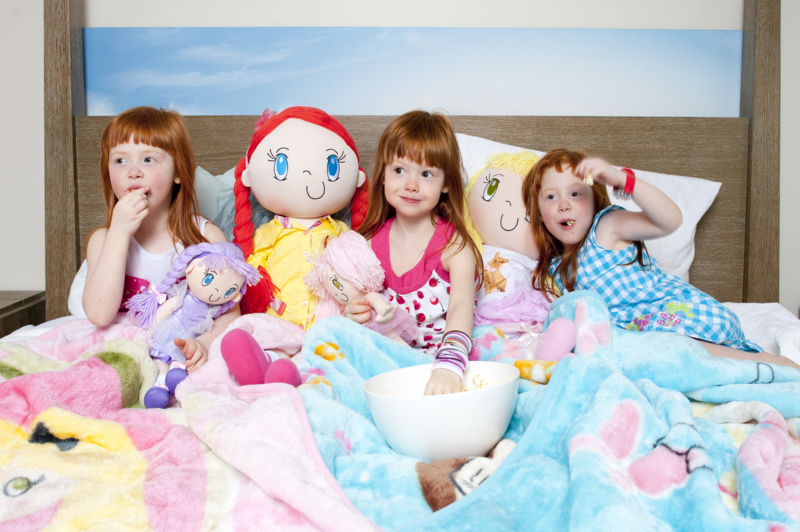 Triplets having a sleepover party with My Friend Huggles dolls did just that! Also in this photo, a sneak peek at Mini Huggles ~ Coming soon to the Huggles family! Lots of hugs! My Friend Huggles president, Brenda Katz, sitting for a photo with a new Huggles friend. My Friend Huggles president, Brenda Katz, with a new Huggles friend. Check My Friend Huggles in this month’s Creative Play Retailer Magazine. My Friend Huggles in the October 2013 issue of Creative Play Retailer Magazine. 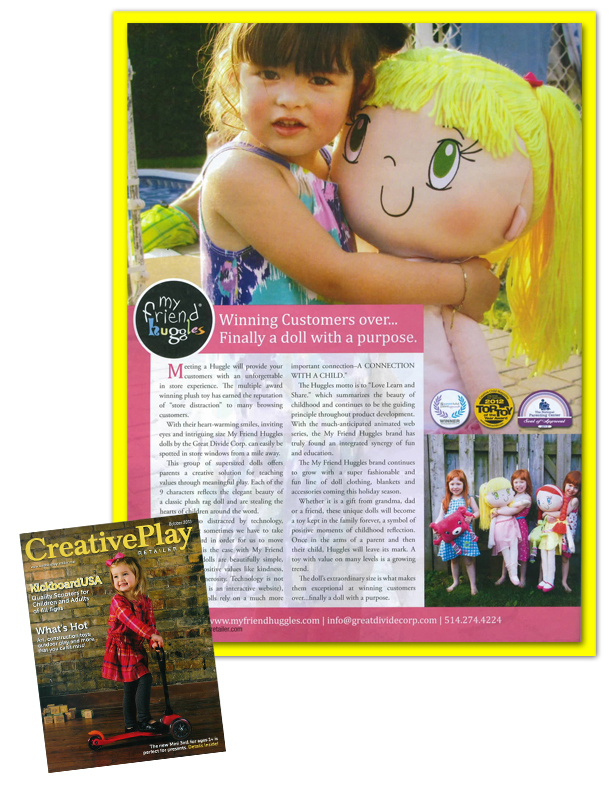 To read the editorial on My Friend Huggles “Winning customers over…Finally a doll with a purpose.” Check out page 38 of the October 2013 issue of Creative Play Retailer Magazine. Creative Play Retailer Magazine is a trade magazine covering the children’s retail industry. What makes Creative Play Retailer stand alone is its ability to provide the specialty store market with top rated reviews of products that are endorsed by Creative Child Magazine, parents and educators. This enables the buyer to better understand what the market truly thinks of the products that are presented. 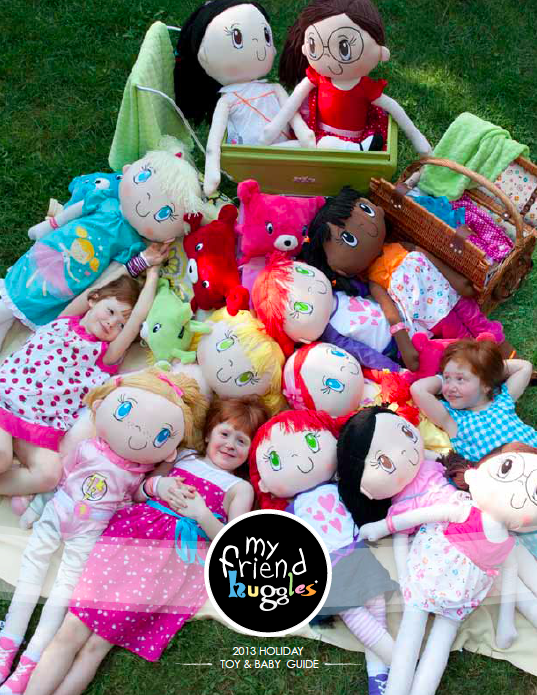 Adorable Photo of a child’s ultimate bedtime toy, a cuddly My Friend Huggles Doll. Nightie night! 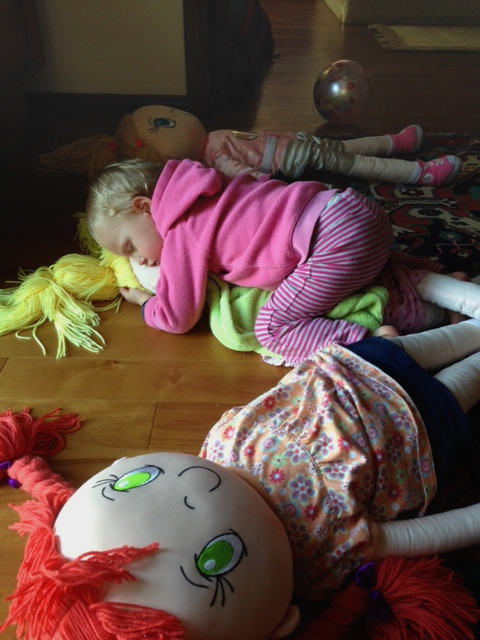 Thank you for sharing this adorable photo of Olivia sleeping on her sister’s Lily Doll. We never knew a Huggles could substitute for a bed! 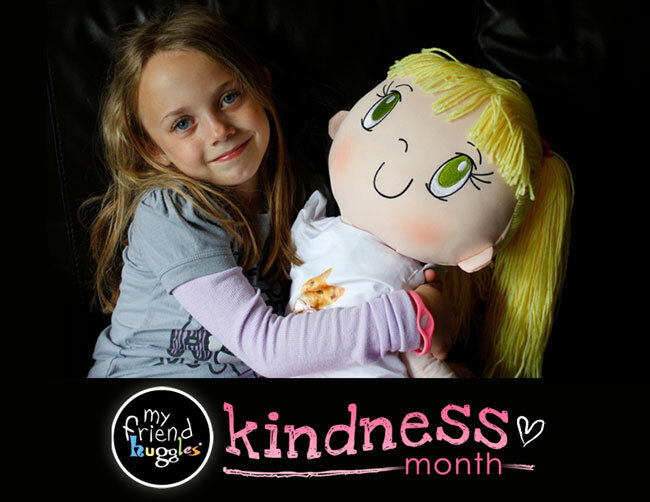 My Friend Huggles not only teach character values through meaningful play, they are a soft, cuddly, bedtime toy for a child ~ A life-sized doll the size of a toddler, that’s a little one’s secure friend to snuggle and love. New My Friend Huggles friends. 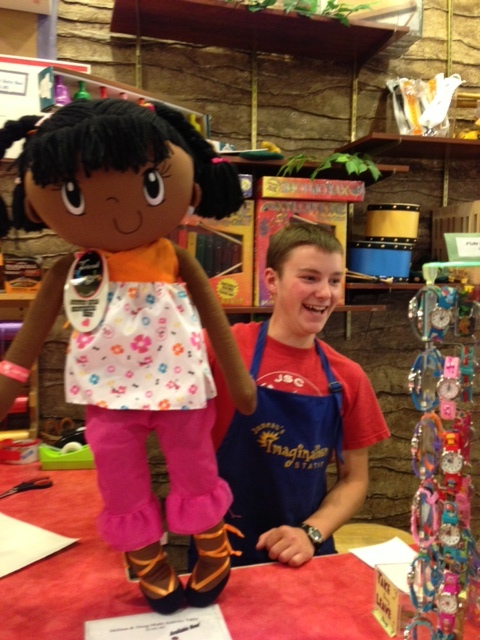 My Friend Huggles in Juneau’s Imagination Station, an Alaskan toy store. Juneau’s Imagination Station offers games, dolls, arts & crafts, science, active toys, pretend play toys, toddler and infant toys, building toys, and Alaskan toys and books. My Friend Huggles president Brenda Katz was recently there and paid them a visit! 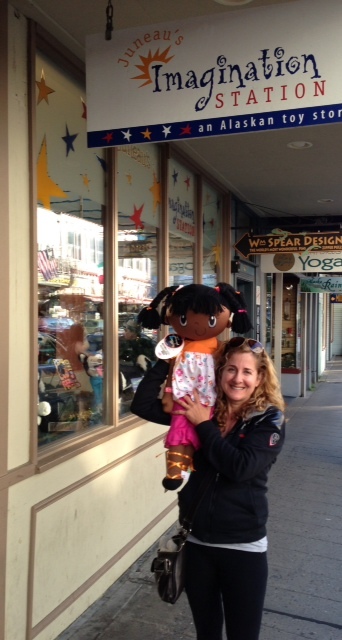 My Friend Huggles predisent Branda Katz outside Juneau’s Imagination Station, Alaska. My Friend Huggles is supporting Dressfest 2013, a charitable gala you wear your wedding dress to! If you’re in the area, come out for an evening of dining, dancing and support Dressfest, a charitable gala where not only do you get to wear your wedding dress again, but where women unite with their families and friends to celebrate in style and give back to their community. This years’ Gala is in support of the London Regional Cancer Program & Patient Assisatance Program.